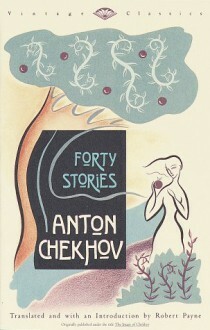 If any writer can be said to have invented the modern short story, it is Anton Chekhov. It is not just that Chekhov democratized this art form; more than that, he changed the thrust of short fiction from relating to revealing. And what marvelous and unbearable things are revealed in these Forty Stories. The abashed happiness of a woman in the presence of the husband who abandoned her years before. The obsequious terror of the official who accidentally sneezes on a general. The poignant astonishment of an aging Don Juan overtaken by love. Spanning the entirety of Chekhov's career and including such masterpieces as "Surgery," "The Huntsman," "Anyuta," "Sleepyhead," "The Lady With the Pet Dog," and "The Bishop," this collection manages to be amusing, dazzling, and supremely moving—often within a single page.